Forgot Bank of Baroda net banking SignOn (login) password? – here we will tell you step by step guide, how to reset your login password quickly. Bank of Baroda is India’s second largest public sector international bank owned by government of India. You can open your saving account with minimum deposit of Rs.1000 only. To access bank account online BOB gives you Internet banking and mobile banking facility, both facilities you can activate online, no need to visit bank. If you forgot your Bank of Baroda Internet Banking password then this is quick guide – how to reset password. Forgot Bank of Baroda Net Banking login (sign-on) password – How to Reset? 4: After entering correct answers of security questions, next screen enter your mobile number and then you will receive OTP. Enter OTP and submit. 5: Now set your new SignOn Password. If you forgot your Bank of baroda security questions answers then follow blow steps to reset answers. 1: Open BOB net banking login page. 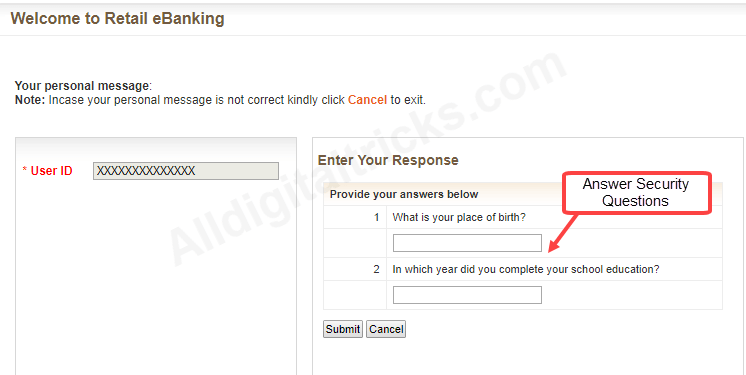 2: Enter User ID and then click on Reset your Answers click here as you can see in screenshot. 3: Next screen you need to enter your mobile number and then OTP which received on your registered mobile number. Enter OTP and submit. 4: Now enter your transaction password. 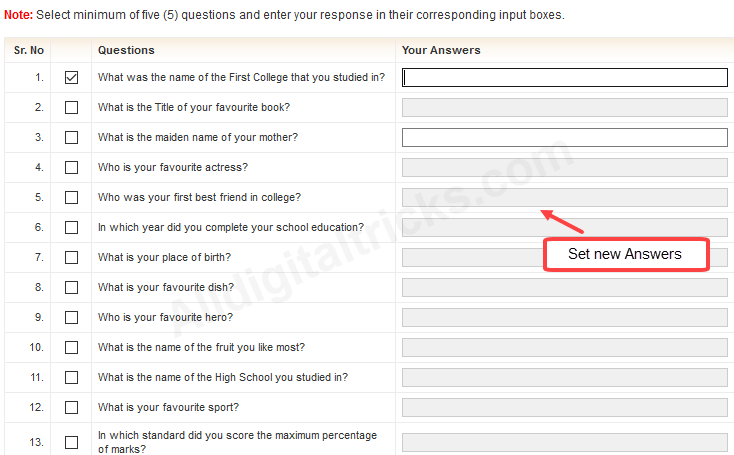 5: In next page select at least 5 question and set answers. 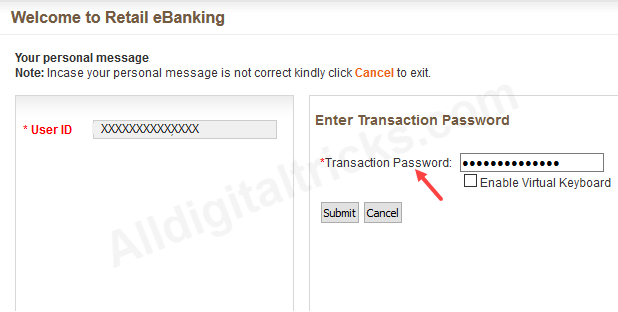 So this is step by step guide how to reset Bank of Baroda Internet Banking SignOn (login) Password when you forgot it.